Masaba, Manish Malhotra, Tarun Tahiliani, Taan Baan, Krishna Mehta- name any high-end designer brand and this tiny studio in Aundh can curate the original pieces for you. Popular among the creme-de-la-creme of Pune, this studio features a selective collection of a few designers for a month, before changing it for the next month. We had the chance to check out the beautiful collection of satin-silk sarees by House of Masaba starting at INR 16000. We absolutely loved the hand-crafted original khadi sarees and ready-made blouses by Taan Baan along with bespoke jewellery, something totally perfect for the wedding season. Why should women have all the fun? Groomsmen, head to the Rohit Kamra Studio, a luxury store by an ace designer from Jaipur, Rohit Kamra. This men's fashion studio in Kalyani Nagar is about all things regal and posh. Although expensive (starting at INR 15,000), we quite liked Kamra's wedding collective featuring intricate needle-work, floral motifs and quirky geometrical patterns on rich, vibrant colours like peacock green, midnight blue, oxblood red and ravishing mustard. Also, check out the bespoke collection that boasts of well-tailored bandhgalas, sherwanis, Jodhpuri jackets, trench coats, waistcoats, trousers and more. Fashionista brides, designer-duo Sandeep Khosla and Abu Jani's diffusion label- ASAL has opened its doors for you. 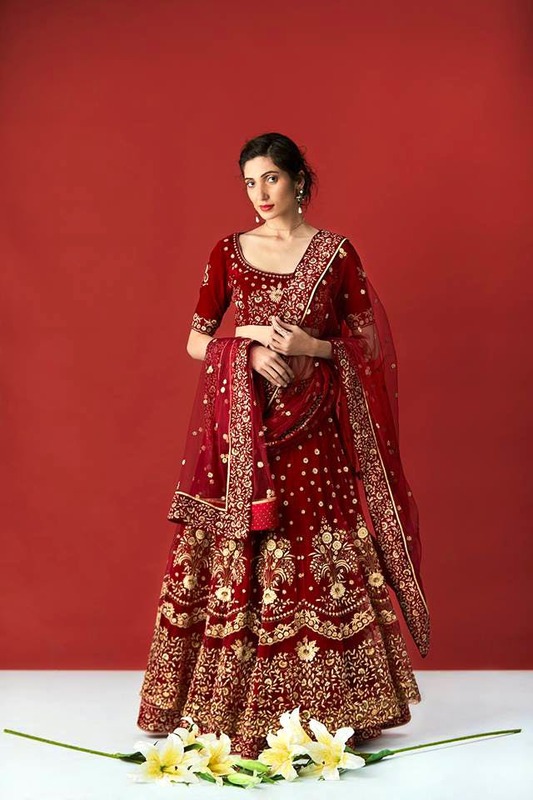 Not just the lehengas, the brand flirts with other fabrics such as Kerala cottons, muslins and creates beautiful designs for all the wedding-related functions such as mehendi, sangeet, cocktail party etc. Timeless is the word that perfectly describes the duo's collection. The store houses their other collections namely solid mirror, jaali mirror, new temple, hibiscus, Devdas and ikat gota as well. Stylish men out there, head to Kora, a luxury boutique for bespoke fashion situated on Bund Garden Road as well as in Aundh. From stylish sherwanis to glamorous wedding suits, this store's collection will make you look like royalty. Want to replicate Ranveer or Virat's wedding styles? The Nehru jackets and bandh-galas are something we recommend you to check out. Weddings and Ritu Kumar's collection go hand-in-hand without a doubt. Luxurious, vibrant and regal- these three words cannot even begin to define this label that perfectly conjures up an ideal bride's image in our minds. Check-out her lehenga collection, especially the heavily-embroidered zardosi ensembles that will make any bride shine like a star. Along with these super-fancy pieces, try the hand-crafted dupattas/ wedding chunnis that will instantly up your bridal game and add a strong dose of shimmer and sparkle to your avatar.